Commit conscious acts of kindness. This increases happiness levels significantly; however, it might be not comfortable to do. 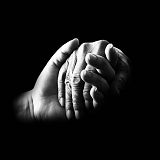 Acts of altruism—giving to friends and strangers alike—decrease stress and strongly contribute to enhanced mental health. Think about how you can be kinder to other people. Remember situations from the past, and imagine yourself acting kinder.